It turns out Donald Trump is indeed fulfilling his empty promise to unite the nation – he simply didn’t realize he was going to bring Americans together against him. 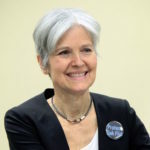 Green Party candidate Jill Stein got less than one percent of the votes in the 2016 election, but that’s still opened the door for her to force a recount in three narrowly decided swing states which – if the totals were to be revised slightly in the right direction – would make Hillary Clinton the next President instead of Trump. And that recount effort is now being collectively funded by pretty much everyone who opposes Trump. Candidates can force a state-level recount, no matter how many or few votes they received. However, they have to pay for it out of pocket. And so Jill Stein began crowdsourcing donations today to raise the roughly $2.5 million required to pay for recounts in Wisconsin, Michigan, and Pennsylvania, three states which Hillary Clinton lost by the slimmest of margins. All three states have seen voting irregularities which suggest that a recount could produce sufficiently different results so as to swing things. If Hillary Clinton is the revised winner in all three states, Hillary will become President instead of Donald Trump. Thus far Stein’s effort has raised $1.25 million as of 9:00pm eastern time on its first day. That puts her 50% of the way toward her goal of $2.5 million to cover the three states in question. The deadline for requesting a recount in Wisconsin is this Friday at 4pm Central Time, with the other two deadlines coming shortly after. Florida law apparently prevents a losing candidate from seeking a recount, but no such restrictions apply in Wisconsin, Michigan, or Pennsylvania. Stein continues to chase the $2.5 million goal on her donation site.